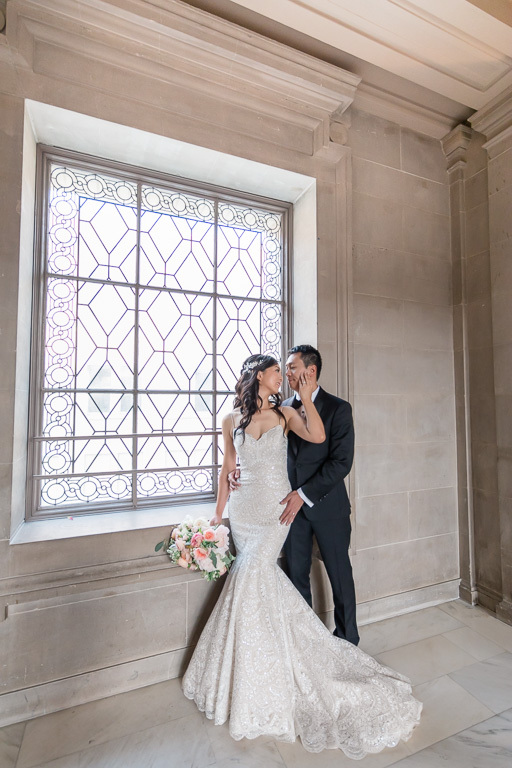 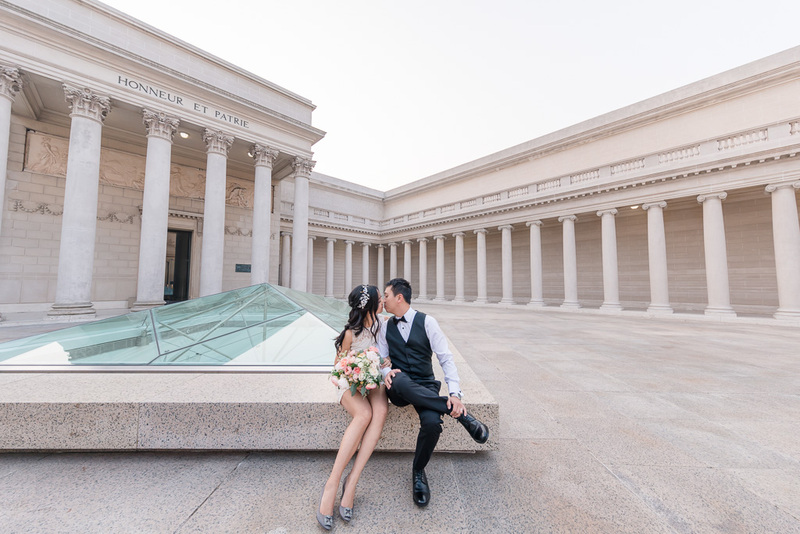 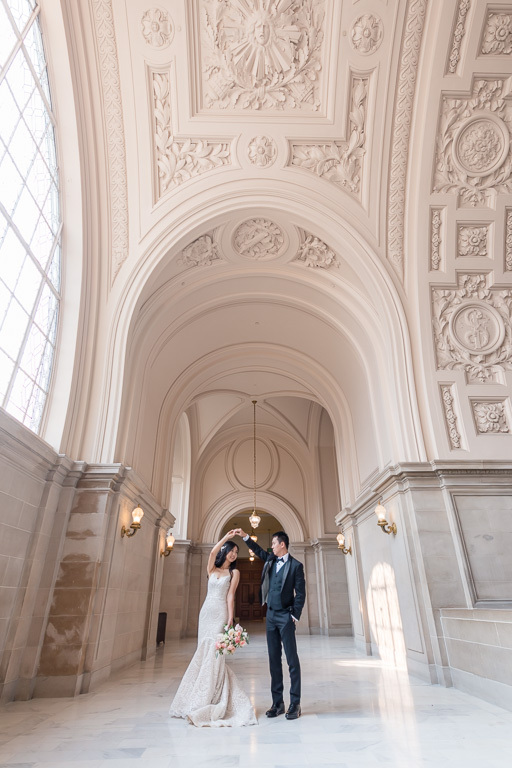 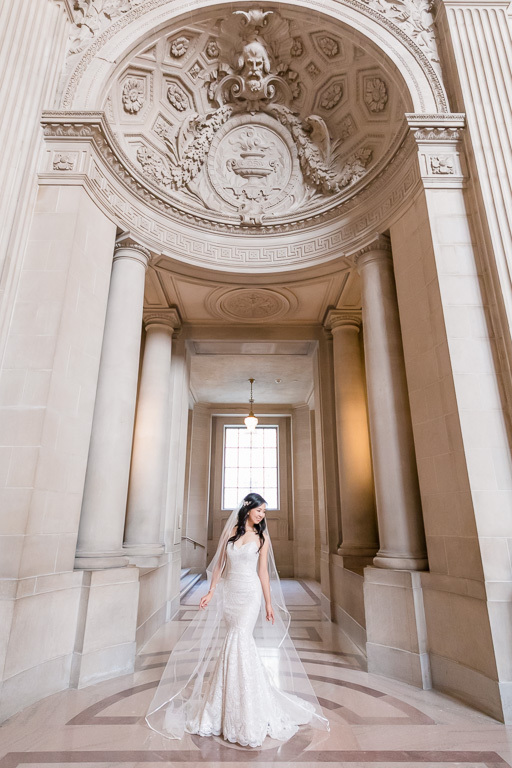 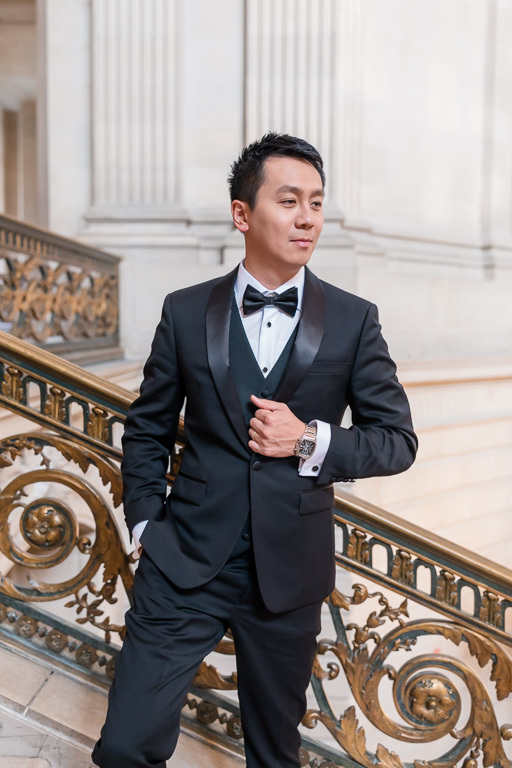 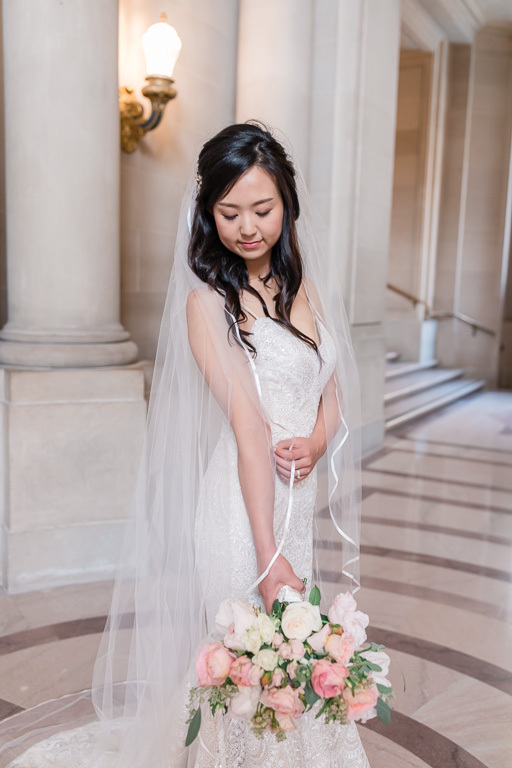 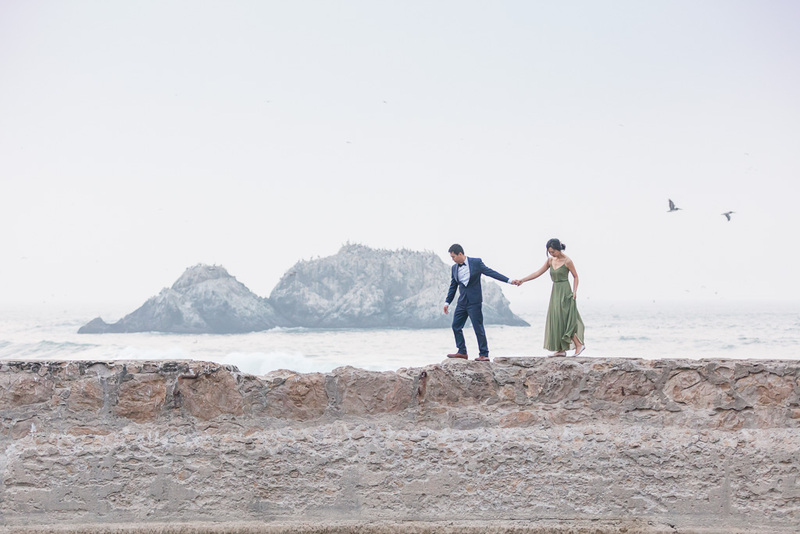 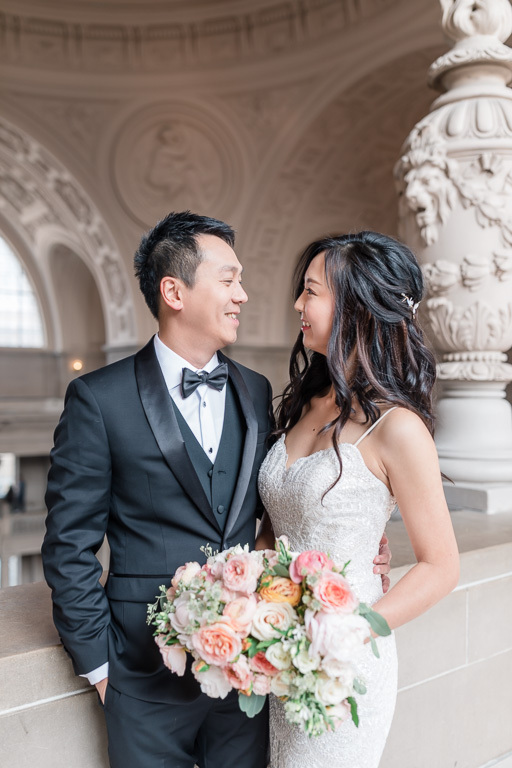 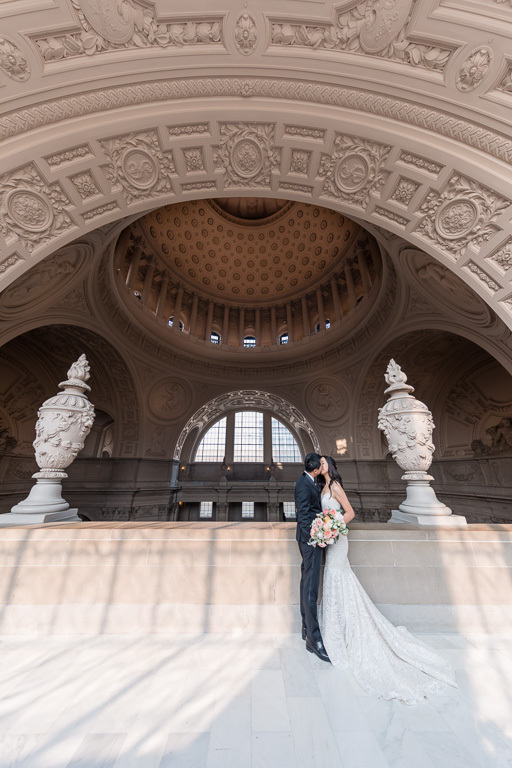 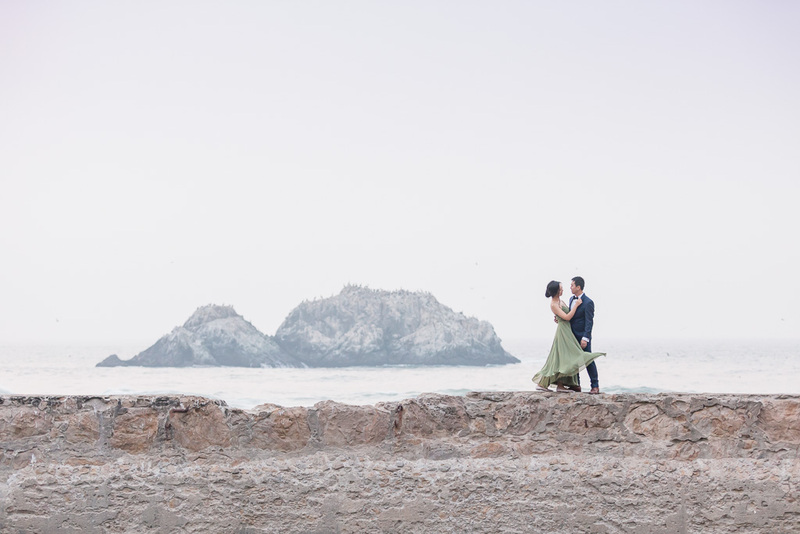 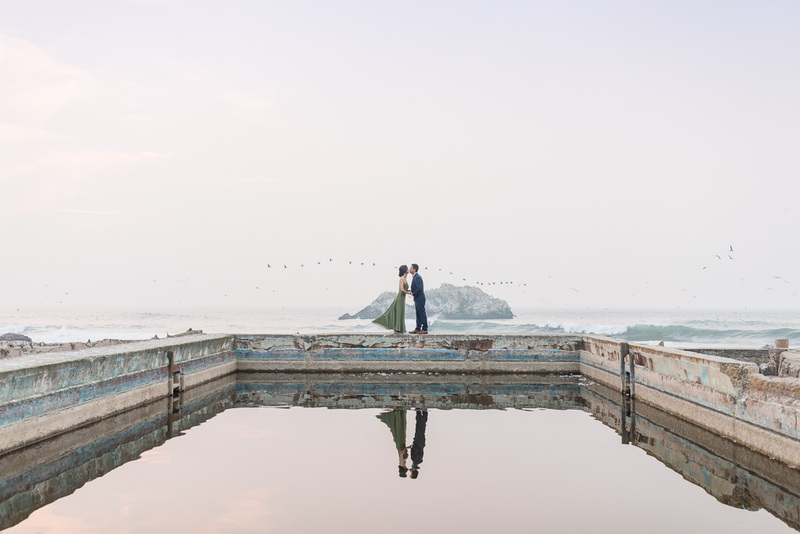 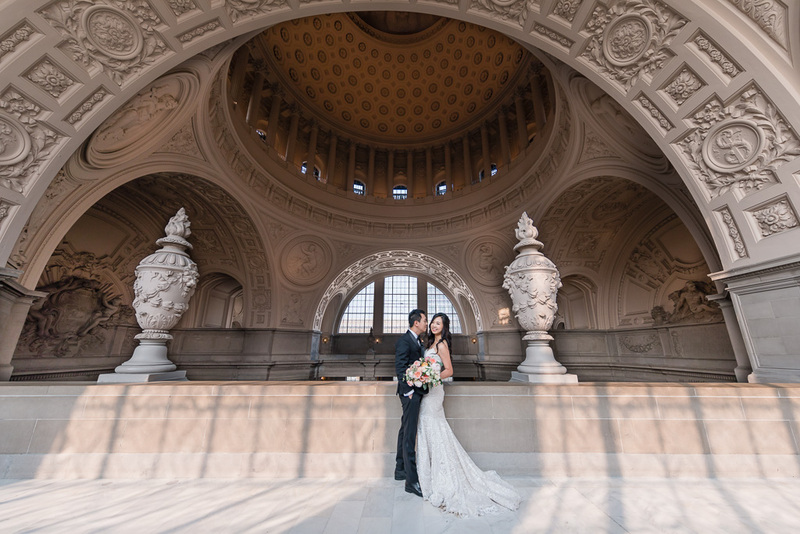 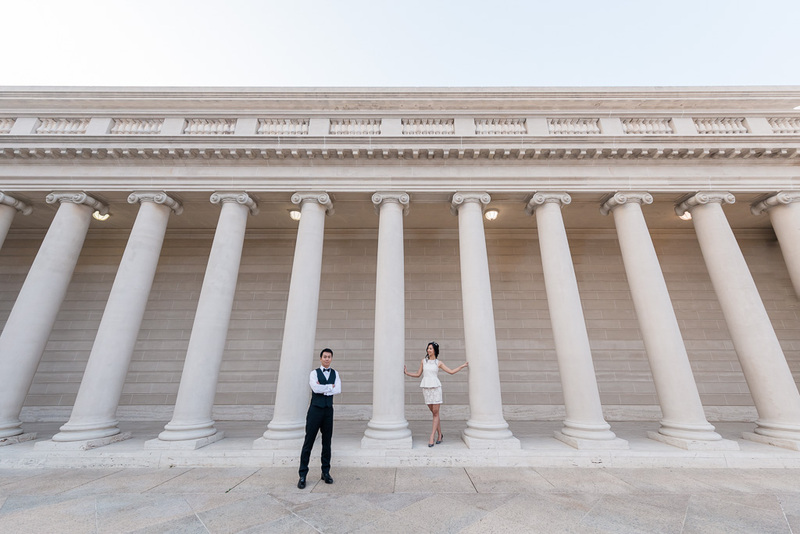 Ziwei & Benson are planning on having their wedding in Taiwan, and decided to do a pre-wedding photoshoot a few weeks ago at a few of my favorite spots in San Francisco: City Hall, Legion of Honor, and Sutro Baths. 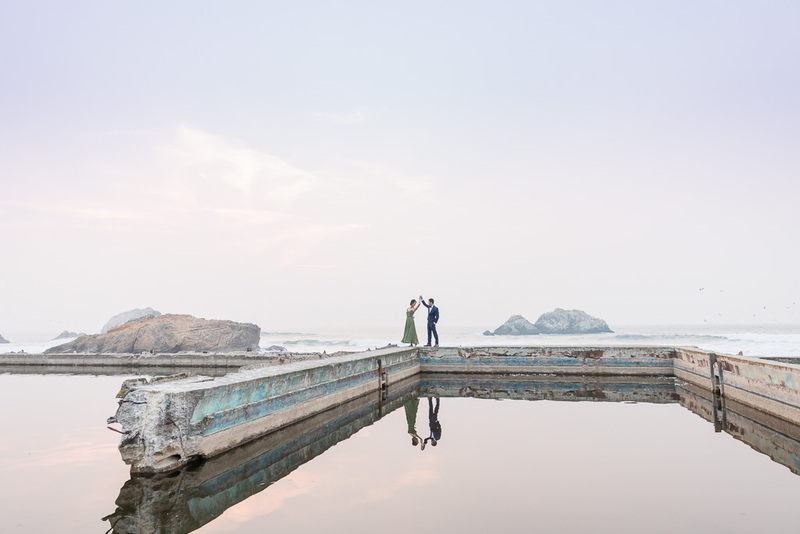 It’s a great mix of man-made and nature, and they had the perfect outfits picked out for each of the locations, as well as three different looks for Ziwei’s hair & makeup (by the fantastic Grace Lin). 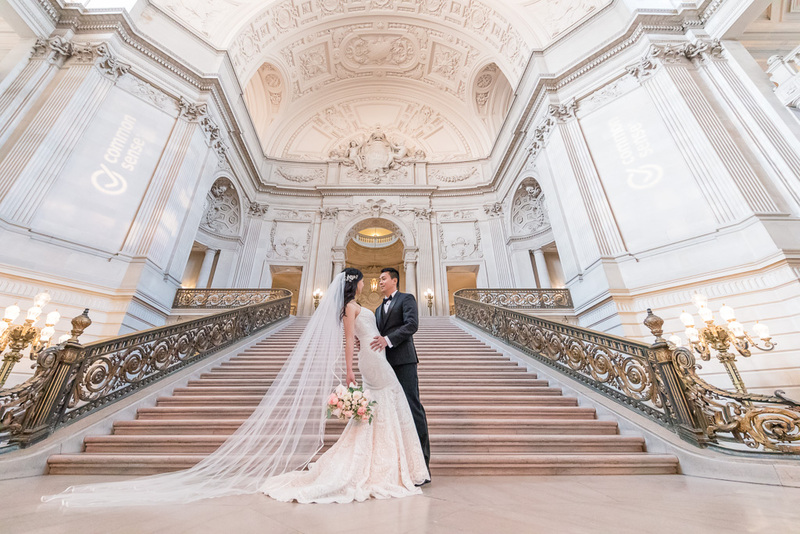 Due to the recent wildfires, this was one of the haziest days in San Francisco history, but our couple toughed it out and the cameras didn’t mind! 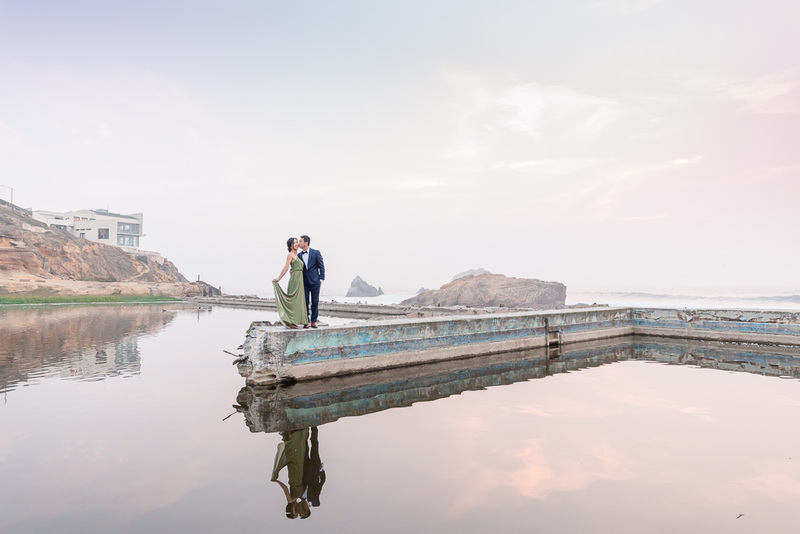 It actually gave a nice soft quality to the photos and added a bit of color, especially in the reflections at Sutro Baths. 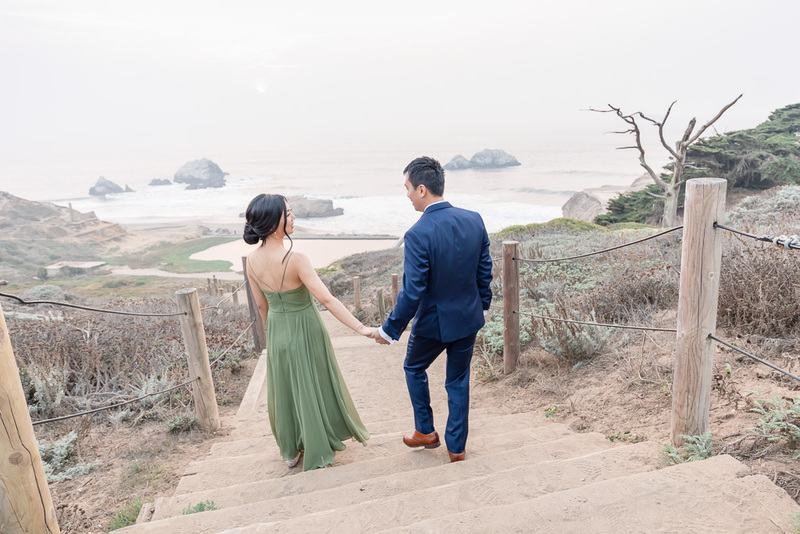 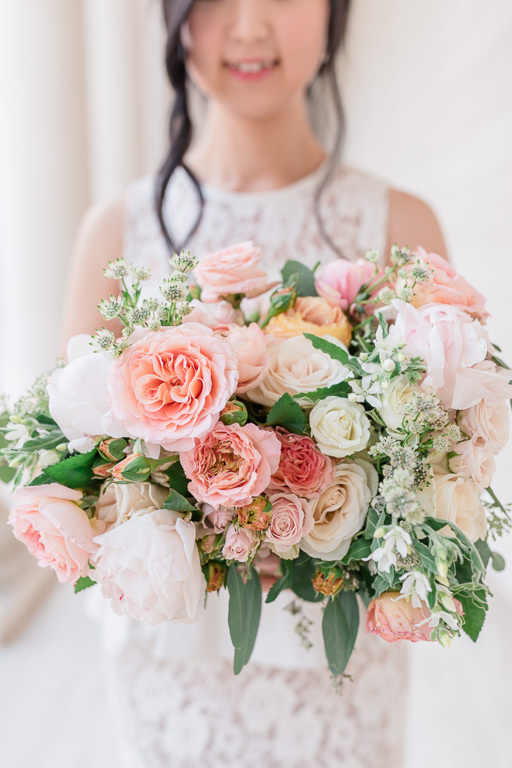 I love how perfect Ziwei & Benson look in these — even the birds seem to agree! 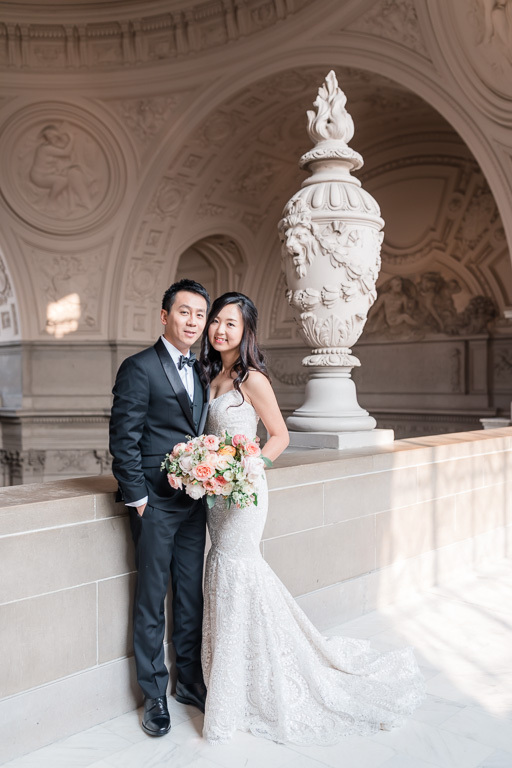 Also special thanks to Vo Floral for the beautiful flowers!